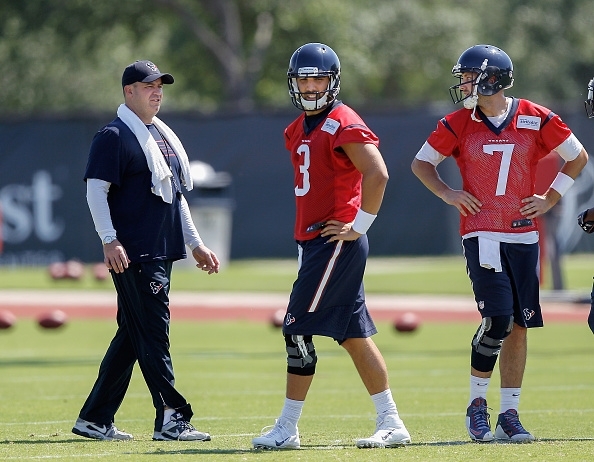 NFL teams are about to start training camps to prepare for the 2015 NFL season. Some teams, like the Green Bay Packers and Indianapolis Colts, know they have quarterbacks in Aaron Rodgers and Andrew Luck that are going to carry them towards the next decade without a problem. Other teams like the New England Patriots and New Orleans Saints with Tom Brady and Drew Brees know that at some point, the good times are going to end. And then there are others, like the Buffalo Bills or Cleveland Browns, who have no idea who their starting quarterback is going to be, not exactly flooded with great options. Buffalo Bills – Looks like it’ll be EJ Manuel again to start the season. His record as a starter isn’t bad, but that doesn’t mean he’s a good enough quarterback. Matt Cassel seems to be the least likely to start, but rumors keep switching narratives, suggesting it might be even Tyrod Taylor who gets to start. In short, a mess. Cleveland Browns – The quarterback situation wasn’t exactly peachy last season or through the last two decades in Cleveland. Johnny Manziel is sober and more ready to play professional football, but he’ll likely be waiting for Josh McCown to f*** up in order to get a start. Houston Texans – It’s still remarkable to think about how the Texans fell apart in 2013 after finally overcoming of the ‘expansion team’ phase. This will be another season with great numbers from J.J. Watt and probably Arian Foster, but quarterback play (Brian Hoyer?) to drag them down. New York Jets – There are a lot of new faces on the sidelines for the Jets, but Geno Smith is still there. Ryan Fitzpatrick usually finds himself starting. In any way you try to look at it, things don’t look promising. Blake Bortles, Jacksonville Jaguars – For the Jaguars, who have won a total of nine games in the last three years, it’s about hoping that Bortles builds on a so-so rookie season and turns into something this franchise can finally rally and build around. Teddy Bridgewater, Minnesota Vikings – The Vikings looked good in the past with a terrible quarterback but a prime Adrian Peterson shredding the field. Peterson is back this season, and Bridgewater does look like a promising play caller behind center, although one season of quiet success doesn’t mean a whole lot. Derek Carr, Oakland Raiders – The Raiders are rarely exciting to watch, but Carr might be developing into a nice quarterback, hoping that the addition of Amari Cooper helps this offense take off. Sam Bradford, Philadelphia Eagles – One of the many controversial moves Chip Kelly made over the offseason was trade for Sam Bradford. Bradford has a long and known history of season ending injuries. Kelly is a risking a whole lot by putting Bradford in the driver’s seat, even if he has a decent back up in Mark Sanchez. 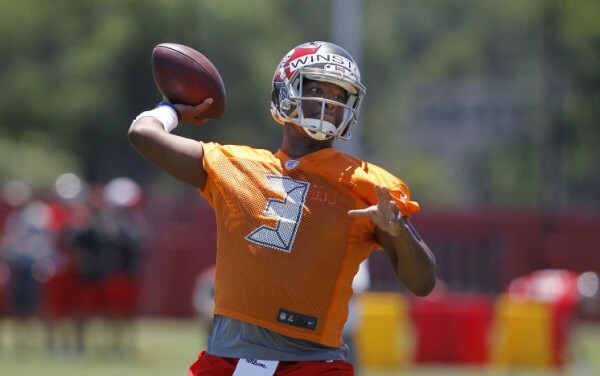 Jameis Winston, Tampa Bay Buccaneers – What can you say? A number one pick as a quarterback is always about promise for better days. The Buccaneers, winning only two games last season, certainly need this to work, hopefully quickly. Marcus Mariota, Tennessee Titans – Things didn’t start off on the right foot with Mariota and the Titans dragging their contract signing due to offset language. The number two overall pick in the 2015 draft might finally make the Titans interesting, hopefully not for a short time. Carson Palmer, Arizona Cardinals – Palmer going down last season didn’t stop the Cardinals from making the playoffs, but it might have denied them a better finish. Still, Palmer isn’t going to last for a lot longer, and his best doesn’t come out too often on a team that relies on other things to get its wins. 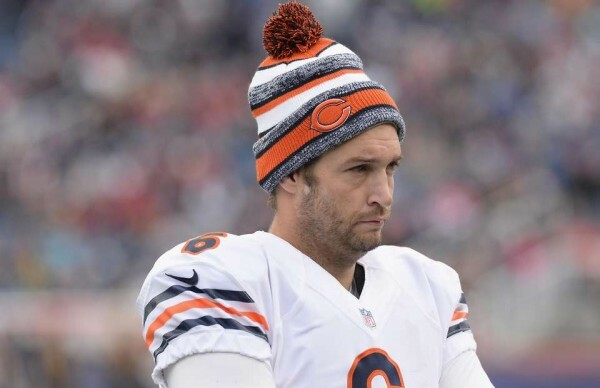 Jay Cutler, Chicago Bears – Last season was probably the last straw for the Bears when it comes to the Cutler question, but they couldn’t get rid of him. After this season, it’s going to be easier, unless he pulls off some magical stuff. Andy Dalton, Cincinnati Bengals – When you’re the definition of average and there’s a thing named after you that separated the good and the bad quarterbacks, it probably means your team is going to replace you when the opportunity comes along, despite the franchise-QB-like extension he got. Nick Foles, St. Louis Rams – Foles didn’t take a step back just because of his injury last season. He simply didn’t play very well in the eight games he was healthy for. The Rams aren’t going to give him more than a season to show he’s capable of coming close to his 2013 ability. Robert Griffin III, Washington Redskins – From rookie sensation to someone who might not get another shot in the NFL after this season. It’s hard to find someone who says anything positive about Griffin as a quarterback these days, and heading into this season it feels like it’s his last chance, with everyone knowing he doesn’t have what it takes to recapture his mojo. Matt Ryan, Atlanta Falcons – A very good quarterback on a team that has problems all over the place. But Ryan’s job isn’t in danger, and it shouldn’t be for a while considering how good he’s been over the last four seasons. Joe Flacco, Baltimore Ravens – Super Bowl champion and MVP. Flacco gets the job done, even though he has more bad games than you want to see from your franchise-elite-quarterback. Still, he doesn’t seem like the kind of player who is going to fall apart out of nowhere in the next two or three years, and the Ravens won’t be missing out on great things because of him. It’ll be other weaknesses. Cam Newton, Carolina Panthers – There was a huge debate on whether or not Newton deserves a massive extension, worthy of a franchise quarterback. But while his passing numbers aren’t always great, he never has had a great receiving crew, and the Panthers, most of the time, are much better because he’s on the field. Matthew Stafford, Detroit Lions – Stafford still hasn’t won a game in the playoffs and he might have enjoyed playing next to a dominant receiver like Calvin Johnson. But the Lions aren’t looking elsewhere right now, and it’s going to be a while before they do. Alex Smith, Kansas City Chiefs – Smith works well in a system that protects him, and in 2011, most of 2012 and since joining the Chiefs, he has done exactly that. It’s hard to see that changing for the Chiefs unless something unexpected happens. Ryan Tannehill, Miami Dolphins – The Dolphins are still trailing the Patriots in the AFC East, but Tannehill is the guy they bet on with a big extension, and he probably is good enough to live up to individual expectations. Colin Kaepernick, San Francisco 49ers – Kaepernick’s credit is probably longer lasting than just one more season, but there were a lot of worrying signs in 2014 about his ability to lead the franchise. Still, with all the changes made in San Francisco over the offseason, making a quarterback switch now or in a year doesn’t seem like a smart move. 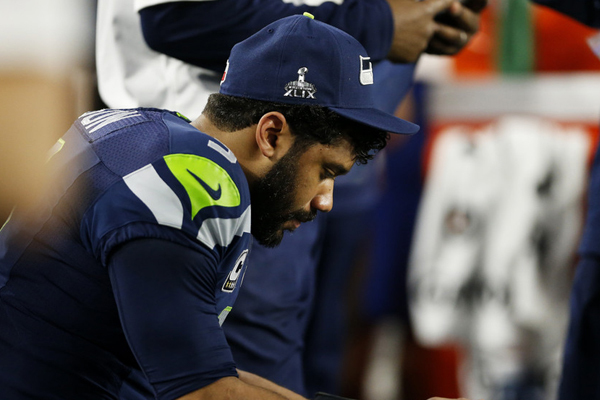 Russell Wilson, Seattle Seahawks – Wilson works very well in the offensive system the Seahawks have. But these two sides might part sooner than expected not because of his ability or the team’s performances (two consecutive Super Bowls). It’s about a contract and money, which can ruin the best of relationships. 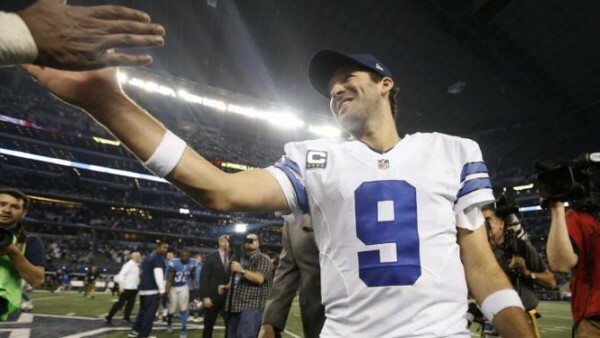 Tony Romo, Dallas Cowboys – Despite the impressive numbers Romo has accumulated over his career, including in fourth quarters, it seems like every loss the Cowboys have starts a whole new bonfire of Romo hate. But that’s outside news. From within the franchise, it has never felt like anyone is considering moving on to a new face. Eli Manning, New York Giants – Like the Wilson situation, the Giants would love Manning to continue, but it’ll be about money. The thing about Manning is that he is a two-time Super Bowl champion and one time SB MVP, but it always feels like people are waiting for the Giants to move on to someone better. So far, the Giants haven’t shown they think they’re so bad off with Eli at the helm. 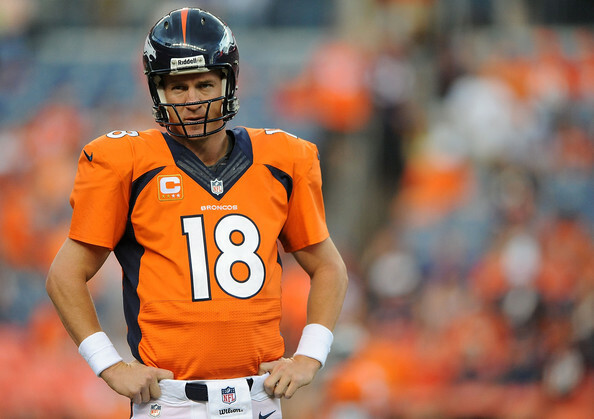 Peyton Manning, Denver Broncos – Manning is the best quarterback in NFL regular season history. The playoffs? That’s a different subject, and after last season’s second half decline, there will be a lot of watchful critics and fans waiting to pounce on the opportunity to tell the Broncos to move on from the old man. The Broncos know their window with him is going to close pretty soon. Tom Brady, New England Patriots – Brady has other problems right now but outside the world of punishments, appeals and deflated footballs, it’s hard to imagine anyone else being the Pats’ quarterback. But Brady has his days of looking old and playing like someone who is way past his prime. This ride of excellence and championships isn’t going to last much longer, although we’ve heard that being said before. Drew Brees, New Orleans Saints – Brees is the most important player in the history of the franchise. But in 2014 he did take half a step backwards, and the Saints know that his days of putting up huge numbers are numbered, especially when it goes along with more and more mistakes being made. Ben Roethlisberger, Pittsburgh Steelers – The best quarterback in the NFL when it comes to throwing the ball under pressure, but there are so many hits one man can take before it starts causing some sharp decline. The Steelers did give Roethlisberger a massive extension, but they know he might not last its entire duration. Philip Rivers, San Diego Chargers – Durable and very good most of the time. The question about Rivers is the same as the future of the franchise. He doesn’t want to play in Los Angeles and the two sides don’t have a new deal in place, with the current one running out at the end of this season. 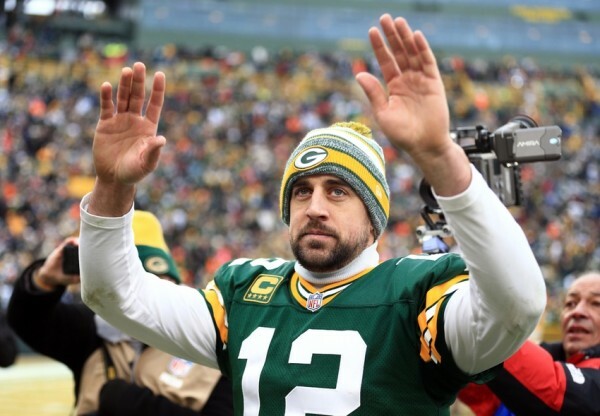 Aaron Rodgers, Green Bay Packers – The 2014 MVP, Rodgers makes the Packers Super Bowl contenders regardless of other issues they have whenever he’s on the field. Right now, it looks like this is going to last for quite some time. Andrew Luck, Indianapolis Colts – The Colts immediately turned from worst in the NFL to playoff team and to almost-contenders the moment they drafted Andrew Luck. He still makes mistakes the Colts can’t afford him to make, but at the moment this looks like a team-quarterback pairing that’s going to last and succeed for a very long time.